Not Anymore is SIUE’s sexual assault and relationship violence online prevention education program. Not Anymore is part of our commitment to taking all appropriate steps to eliminate prohibited conduct, prevent its recurrence and address its effects. 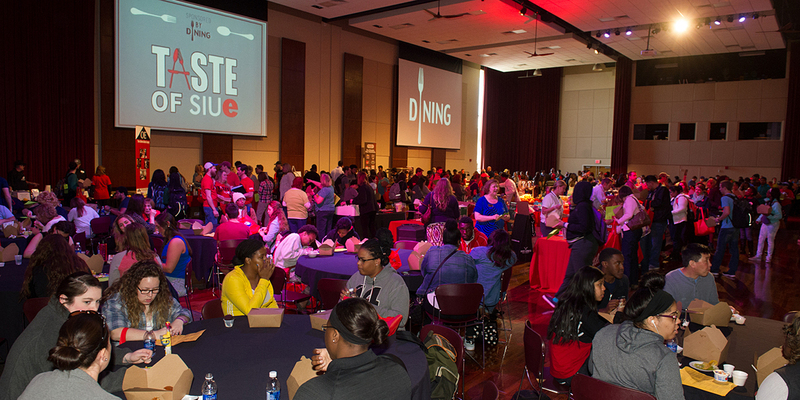 Participating in Not Anymore is one important piece in creating a positive and healthy community at SIUE. Join Us for the Spring 2019 Sustained Dialogue Program! 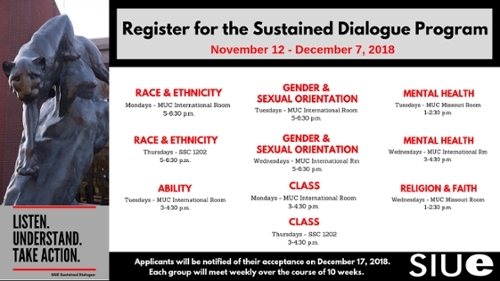 Sustained Dialogue is a process that addresses issues of community relations including race, ethnicity, class, gender, sexual orientation, religion, age, ability status, and other topics that often aren’t effectively discussed in diverse groups. The well-being of all students, staff and faculty are important at SIUE. In order to provide support to those who have experienced a bias incident, the Bias Incident Response Protocol has been established. This protocol aims for prevention, monitoring, response, reporting and restoration within the campus community. Visit BIRT for more information or to submit a report. The Prevention Education and Advocacy Center (PEACe) has been established to help foster a climate free from sexual assault, sexual misconduct, stalking, and relationship violence through clear and effective policies, coordinated education and prevention programs, and prompt and equitable procedures for reporting and resolution of complaints.